Nigeria’s talented vocalist and CEO of Black Diamond, Wande Coal, has announced his first headline concert in Lagos this Christmas. The concert tagged ‘King Coal in Concert’ is sponsored by Bet9ja. The Nigeria-based sports-betting company and it will feature the legendary artist performing hit songs. Hit songs such as Ololufe, The kick, Baby Hello, Ashimapeyin, Turkey Nla and So Mi So on a night of musical bliss. 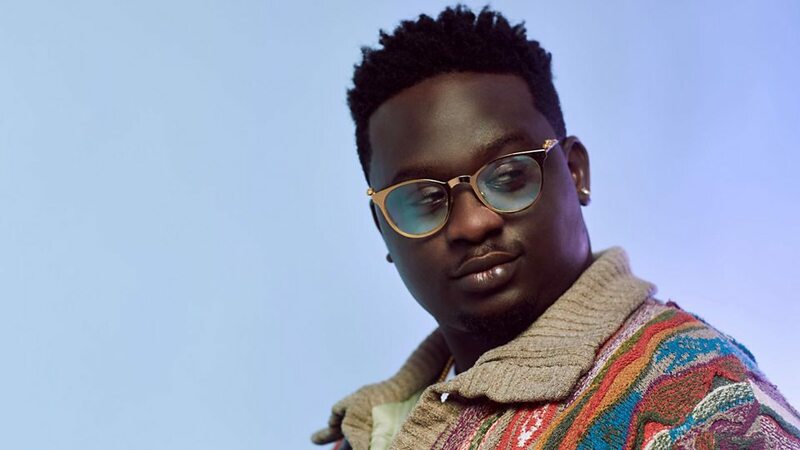 Over the years, Wande Coal’s style of music has been deeply rooted in telling stories; from love to life, relationships and his career journey – allowing him to connect with fans on a different level worldwide. Wande Coal’s voice has become a major part of his identity and his ability to render any song in any genre proves his vocal versatility. 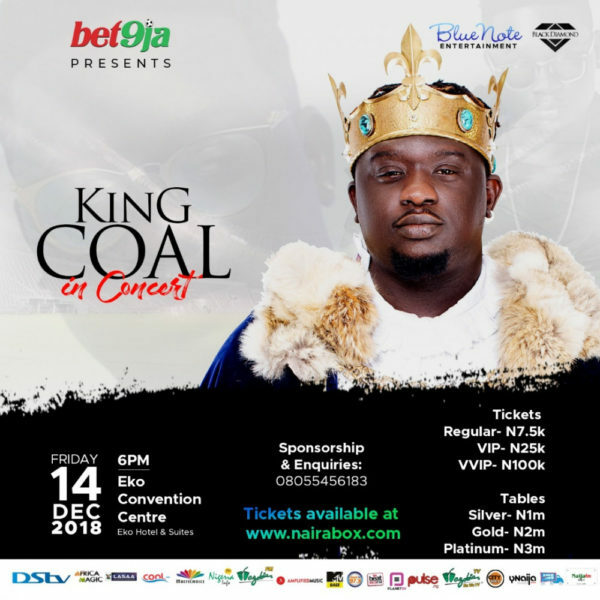 ‘King Coal in Concert’ is scheduled to hold on Friday, December 14th, 2018 at the Eko Convention Center, Eko Hotels and Suites Lagos and tickets are available on nairabox.com.